Graduation Project: Problems of administration and management: Excellent. 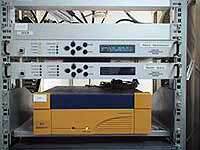 Elective Course: Optical Communications Systems, Satellite Communications Systems. 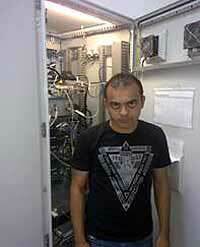 Wireless Comm. Courses: GSM at Cairo University in 2006. Linux Security Course on Linux Plus. 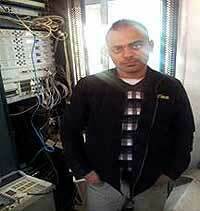 7 years experience in Satellite Communication, Networking and Technical Support /System Engineering function. 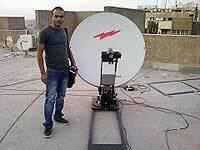 Calculate Satellite Link Budgets for small and Huge Networks, and good user for iDirect Network Planning tool. 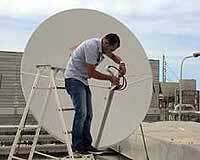 Installing Marine sat Tracking systems and Auto Deployment antennas. 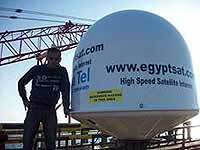 (Azimuth) (E-PAK) (Sea Tel). Ability to capture and interpret IP packet traces. 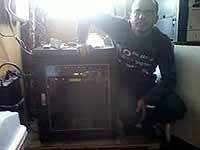 Demonstrated microwave systems troubleshooting and installation. 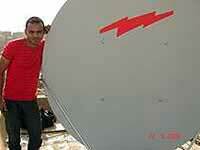 - Elective Course: Optical Communications Systems, Satellite Communications Systems. - Wireless Comm. 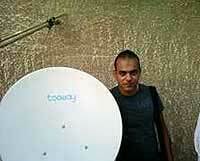 Courses: GSM at Cairo University in 2006. Microsoft Windows (XP, Vista, Win7, Linux). 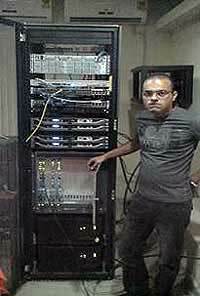 Description: Built Multicasting solutions using FAZZT Software over Satellite DVB S2 (Newtec Technology). Used for: file delivery from one station to more than 1000 site with saving the bandwidth. Description: use VBrick technology for distance learning solutions over Satellite by (iDIRECT and Newtec technology). 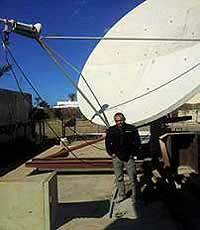 Used for: help many student to learn from any were, only need VSAT system or one-way dish. Description: use NetFlow Application as it support SNMP Protocol to monitor satellite terminal network traffic and accumulated volume. Used for: help satellite operators to calculate the exact bandwidth usage for any customer (only need SNMP connectivity support between the Sat and network hardware). 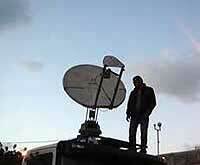 Project Name: SNG for Satellite Broadcasting. Description: built a manual SNG by using RF L-Band modulator + H.264 Video Encoder + Handy Cam + 5Watt up converter and were able to make a live test ended to satellite end user. Description: establish a SCPC link between more than one site then use Video Conference hardware (Tandberg or Life-size or Ploycom). 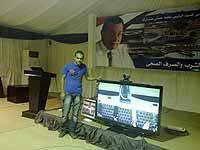 Used for: Continuance Video Conference Achievement with Mr. President Hosni Mubarak in Most of the governorates of Egypt (Sohage, Elmenia, Asyut, Nag3 Hamady-Gamssa- Mansura-Alexandria .. etc). Description: setup a Voice over IP server using Asterisk application based on Linux, and use (IP Phones hardware, IP Phone Software) for clients connect. Used for: making local and international calls. Description: built a video conference solution using QVidium Encoder and Decoder for the streaming (Video Protocol H.264). 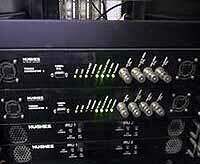 Used for: point to point video conference solution. Negotiations Skills & Presentation Skills. Ready to be an effective member of a work group. Fast and self-learner, Self-motivated, initiative and persistent. 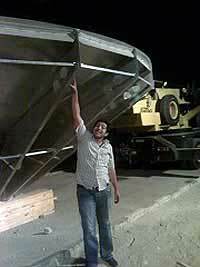 Able to adapt with different cultures and work environment. Ability to deal with different types of characters. 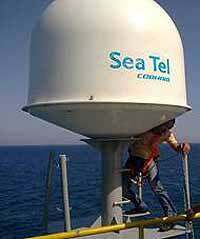 Marine Sat SeaTel VSAT: With radome removed. Text and images kindly provided by hany@digital-satellites.com. This is not a paid for advertisement.